Soothes sensitive skin. 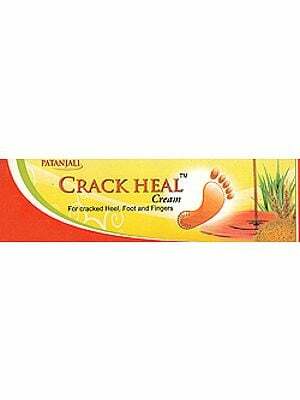 Heals rashes and relieves pain. A specially formulate mild cream that treats rashes, inflammation and irritation caused due to rubbing of diapers against baby’s soft skin. Nirgundi extract relieves pain, Yashada bhasma aids in healing the rashes, Aloe vera and Almond oil soothe the skin. Direction for use: Apply on the rashes and around he area where the edges of diapers rub against the skin. Each gm contains: Pdr. Yashada Bhasma (Zinc calx) 25mg. Ext. Kumari (Aloe vera) 200mg. Oils: Vatada (Prunus amygdalus) 9mg, Nirgundi (Vitex negundo) 0.5mg, Manjishta (Rudia cordifolia) 0.5mg. Natural herbal formulations tend to change colour over time. However, the product efficacy remains unchanged.